Google Chrome 69, which is currently in beta, has enabled a very interesting feature for the users on desktop platforms. 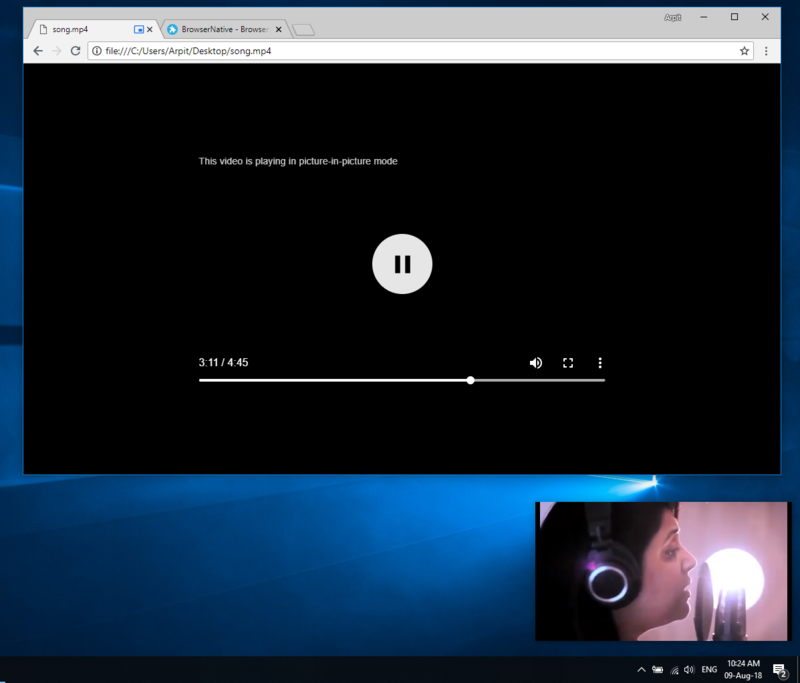 Similar to Android’s Picture-in-Picture mode, Chrome users on Windows, Mac, ChromeOS and Linux can watch videos in detached floating windows. The Picture-in-Picture (PIP) mode is already available on Chrome for Android. The PIP mode enables user to watch videos in a popup miniature window which appears above all other activities or windows. Hence, users can watch PIP videos while interacting with other applications or Chrome tabs. Hopefully, the PIP mode on desktop platforms should land to the regular stable builds with Chrome 69 release. Post last updated on August 10, 2018 . Can we do something else besides wallpapers like a design of a keyboard?